In addition to RS Feva Eurocup Hungary 2019, several accompanying events and competitions will be organized. You can also register for events separately. The ship measurement for the RS Feva National Championships and Eurocup competitions is the same, so if you register for one of the events, the ship measurement will be accepted at the other event. Participants are offered different discounts, depending on when they register and for which event. Members of the Hungarian RS Feva Class Association receive an additional 20% discount from the following prices, please contact us by phone at + 36 20 973 1633 or by e-mail at richard.naray@rs-sailing.hu. The following links provide entry and registration forms for various events. To participate at the events – the completed entry form and bank transfer or cash payment voucher must be presented by the expiration of the entry time. 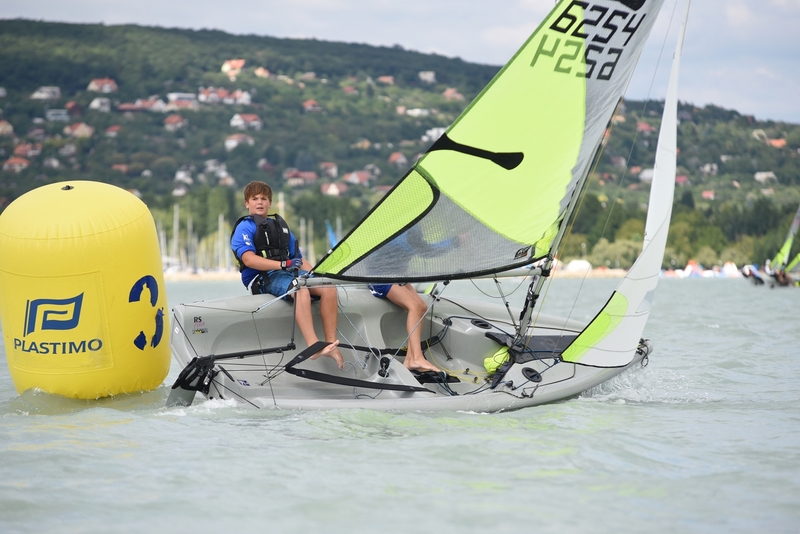 Please indicate the sail number(s) and event name (HC / Eurocup / Sailing Training Camp) in the transfer notice box. The registration is valid on the date of transferring the entry fee and sending the entry form by e-mail. If the two documents do not arrive at the same time, we can only consider the later date when determining the amount of the entry fee! If you do not wish to be named on the rsfeva.org page, you can register via email by sending us the filled in registration forms (downloadable from the link below). The date of entry will be indicated by the completion of the attached documents and the date of payment of other costs. For those who register online, please bring the documents you have downloaded from here filled in, signed! The registration is valid on the date of the participation fee payment and the submission of the registration documents by e-mail. Those, who register to each of our three events, will receive a 30% discount from the entry and participation fees – applicable at the time of registration. Those who register for both the Sailing Camp and the Eurocup, will receive a 15% discount, applicable at the time of registration. We are looking forward to your registration! The application is valid on the date of the rental fee payment and the submission of the application documents by e-mail. Please note that charterboats will only be available at a limited number, so we will cover your requirements on a first-come first-served basis. The rental fees apply only to the Eurocup, the farther rental fee grows by +50% for the Fleetrace and another +50% for the Sailing Camp. When filling in the application, please pay attention to the events and the duration of the rental! PLEASE LET US KNOW your need for charter boats by sending us an email to richard.naray@rs-sailing.hu !